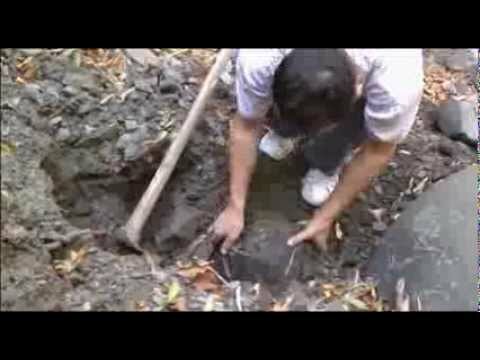 A Bosnian amateur archaeologist in 2005 discovered pyramids in Visoko, 15 miles northwest of Sarajevo in Bosnia and Herzegovina. His discovery was met with a lot of scepticism from around the world. As the research progressed, and various specialists increasingly confirmed the authenticity and importance of this discovery, amazement and scepticism gave way to valuable hands of many volunteers from around the world whose number is increasing every year as are the number of countries from which they come. Explorations of these stone buildings connected by underground tunnels, slowly reveal the puzzle of an ancient civilization. Many people are still sceptical of these discoveries, while many visit this archaeological sight hoping to feel some of its mystic history. If you would like to see for yourselves, if you would like to feel the mystery and decide, “if the truth is there somewhere” or if history has already been penned down, join us in this mysterious journey. Extra value: experience in the tunnels of Ravno, beneath the pyramids (proven medicinal effects). Departure from Zagreb bus station at 7:45 AM following a drive to Visoko with side stops for short rests. Stop in a small village of Zavidovići where there is, for many, another fairly unknown phenomenon. These are the Bosnian stone spheres. These stone spheres, unique in Europe, according to current research originate from the prehistoric period. We then continue our drive to Visoko and Vogosce. Check in and short rest after wich we continue our drive to Sarajevo where we have sightseeing tour with a local guide. Drive back to Visoko/Vogosce, overnight. After breakfast drive to the Visoko where we start our visit to archaeological site. The first part of the programme includes an introductory lecture, and sightseeing of the Bosnian Pyramid of the Sun and the entrance to the underground maze Ravno. Following this comes the experiential part, meditation in the tunnels or sites around. We recommend a visit to the top of the Pyramid of the Sun and individual meditation (taxi arrangement necessary, for a fee). After that we head to visit the picnic site Vrelo Bosne. This is a magical nature park at the foot of the mountain Igman, with numerous lakes and rivers, swans and ducks. Back to Vogosce, and overnight. After breakfast check out from the hotel. Returning back to Visoko for further exploration of this mystical place under the professional supervision of local guides. The visit includes a tour of the Pyramid of the Moon with the probes on the west side and a visit to the Tumulus in Vratnica. Free time for lunch or independent research. After lunch we continue our drive back to Zagreb with the expected arrival in the evening. For details and application, fill the Registration form or send us e-mail. The trip is more of a hiking character because of the climbing on the pyramids, which may be physically more challenging due to possible rain. Appropriate footwear, clothing and raincoat are recommended. For this journey valid are general Terms and Conditions of the agency Tales of Croatia.